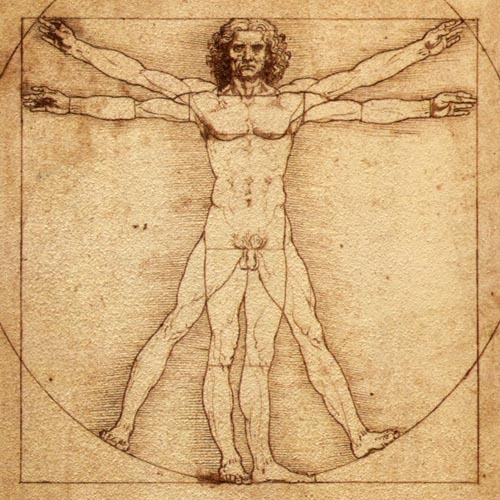 The Vitruvian Man c. 1492. The painting by Leonardo da Vinci displays the Spirit of Scientific Inquiry about Human Nature. What is Man? The motivation for asking this question comes from a statement expressed in Sanskrit language, “Sarvesham Swastir Bhavatu” which seeks the well-being of all humans of all races, of all cultures, of all religions, and of all nations. Our efforts to support the well-being of man would be affected by our understanding the ‘real’, or ‘true’ nature of man. All human traditions including several philosophical and scientific traditions make assumptions about human nature. The basic assumption about human nature is that of finding it displayed in feelings, thoughts, moods, action, and behavior. I try to know human nature from the functional characteristics that are observable in biotic interactions of cells, tissues, and organs that constitute the human organism. If man is viewed as a multicellular organism, I need to discover the human nature of this subject who lives because of the functions of the cells, tissues, and organs that provide the structural basis of the human organism. 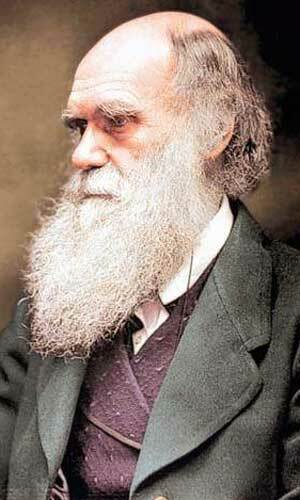 Charles Darwin’s great contributions to Biology: “The Origin of Species by means of Natural Selection: Or the Preservation of Favoured Races in the Struggle of Life”(1859), The Descent of Man(1871), The Expression of the Emotions in Man and Animals(1872). Man’s evolution from ape-like ancestors is thought to be the key to our true human nature. Ethology or the scientific study of animal behavior is based on the Theory of Evolution. In order to explain human condition, ethological theories of human nature appeal to the evolutionary past of man. 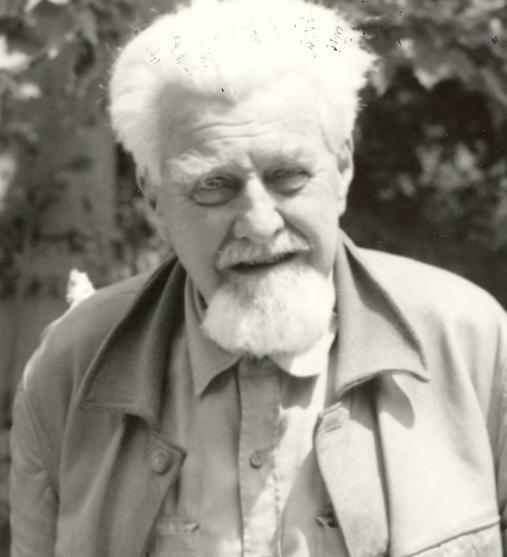 Konrad Zacharias Lorenz( November 1903 to February 1989 ), Austrian Zoologist, founder of modern Ethology which involves scientific study of animal behavior by means of comparative zoological methods. He won the Nobel Prize for Physiology along with two other animal behaviorist. Lorenz sees man as an animal who has evolved from other animals. He thinks that human behavior is subject to the same causal laws of nature as all animal behavior. Many patterns of animal behavior show “hereditary coordination” or “instinctive movements” that are innate rather than learned. The ‘instinctual’ behavior is fixed and may not be eliminated or altered by the environment. Instinct is inherited and it is essentially unlearned behavior. Some of the most important aspects of animal behavior are innate. Lorenz studied the nature of instinctive behavioral acts. The instinctual behavior is caused by a ‘drive’ which causes the behavior to appear spontaneously. The “four big-drives” are feeding, reproduction, flight, and aggression. Very often, behavior is activated by two or more basic drives. To account for an instinctive behavior pattern in a species, reference is made to its survival value it has for the genes for that behavior. To explain the existence of any particular organ or behavior pattern, Lorenz looks for its survival value for the species. In his book, “On Aggression” ( 1963 ), he explains the natural history of man’s aggressive behavior. He considers that man has an innate drive to aggressive behavior towards his own species like many other animals. Fighting and warlike behavior in man have an inborn basis. He seeks an evolutionary explanation for human innate aggressiveness or ‘Intra-Specific’ aggression which is concerned with fighting and threats between members of the same species. The most destructive aspect of human aggression is its communal nature and the fighting is not between individuals but between groups. Humans fight as groups and human beings are the only animals to indulge in mass slaughter of their own species. He explains that this innate aggressive behavior has evolved from the communal defense response of our pre-human ancestors. However, Lorenz made no scientific study of behavior displayed by apes. Among the members of Homo genus, man is the only surviving representative of the Homo sapiens species and hence it will not be easy to validate his conclusions about evolutionary origin of innate human aggressive behavior. If aggression is viewed as a hereditary behavior which is based upon its survival value for the genes for that behavior, it must be noted that all human ancestors had perished and have gone extinct and the behavior of aggression could not be of value in defending their survival as a species. Compassion or sympathy( sym=together + pati=suffer ) describes the emotional feelings of sorrow for the sufferings or troubles of another person or others accompanied by an urge to help. Compassion describes an understanding arising from the sameness of emotional feeling. When man recognizes pain or sorrow in the lives of others, it spontaneously arouses the emotional feelings of compassion. This understanding and the emotional response to the pain and suffering in the lives of others appears to be instinctive. Apart from the “four big-drives”, compassion is operated by an innate drive or it is a motivated behavior. Compassion and altruism( any behavior that appears to favor another individual’s chances of survival ) is a response generated by human nature. Compassion acts like a physical force, power, or energy. It has the power to uplift man from physical pain and mental, or emotional pain or sorrow. The instinct of compassion comes into play and acts as a force, power, or energy when man experiences sorrow and reacts to the suffering or troubles of another man. I am also suggesting that the emotionally motivated behavior of compassion is found within individuals apart from between individuals. If my experience of pain or suffering does not elicit the emotional response of compassion from others, fortunately, I can derive the benefit of the uplifting power of compassion by simply knowing the source of compassion that exists within myself. When a person is enjoying a state of good health, we find that the cells, tissues, and organs of that human person are interacting with each other in a harmonious manner and these intraspecific biotic interactions display characteristics such as mutual assistance, mutual cooperation, mutual tolerance, and mutual functional subservience to provide a benefit to the human individual who lives because of the functions of these cells, tissues, and organs. The constituent parts of the human body interact with each other with a sense of devotion, sympathy, compassion, and understanding. We often try to find compassion in the actions performed by others in response to the pain, and suffering that we may experience. We describe compassion from the thoughts, emotional feelings, understanding, and sympathetic response that we witness in the behavior and action of others. I recognize compassion in the nature of the interactions between the cells, tissues, and organs of my body and consider that such compassion always operates to keep me the human person in good and positive health. I understand the reality of human existence and suggest that the existence is made possible because compassion is innate to human nature guiding the normal living functions both in health and sickness. I observe the operation of compassion in the wound healing mechanism that is described as ‘Inflammation and Repair’. The emotional feelings of compassion are important for the survival of man who exists to find emotional satisfaction from his living experience. The instinctive behavior of compassion supports the survival of man as it provides an emotional sense of satisfaction and contentment which contributes to the experience of joy and happiness in life. The Key to Human Nature could be discovered by knowing the Cell Structure and Functions. If hereditary behavior is operated by information present in genes, it must be noted that the genes have no independent existence of their own. 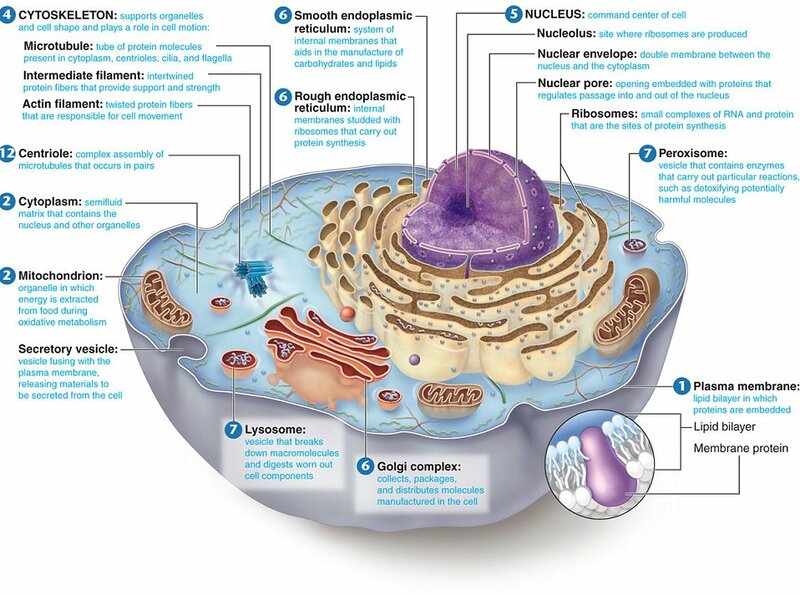 The nucleus and the genes perform their cellular functions deriving energy from the cytoplasm or protoplasm of the cell. The biological properties, characteristics, and the biological nature of the living substance or protoplasm could account for the instinctive behavior pattern of compassion. The biological properties, characteristics, and the biological nature of the living substance or protoplasm could account for an instinctive behavior pattern like compassion. Biological functions and characteristics such as nutrition, recognition, awareness, responsiveness, and communication with other living cells have not evolved because of their survival value for the species. At a fundamental level, certain living characteristics or nature is innate or implanted in matter at the beginning of life. The nature called compassion is implanted or innate to the living substance or matter known as protoplasm. Pingback: SPIRITUALISM – HUMAN NATURE AND HUMAN BEHAVIOR | Bhavanajagat. Pingback: SPIRITUALISM – HUMAN NATURE AND HUMAN FORMS | Bhavanajagat. Pingback: SPIRITUALISM AND INTELLIGENCE | Bhavanajagat. Pingback: SPIRITUALISM – THE NEW SYNTHESIS | Bhavanajagat. Pingback: SPIRITUALISM – THE THEORY OF CONSCIOUSNESS | Bhavanajagat.